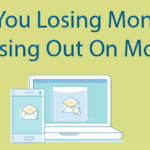 ﻿ Are You Losing Money by Missing Out On Mobile? » Red Mango Marketing! This year, more people will find your website on mobile devices, and read your emails on them, than ever. Are both you and your business positioned and ready to convert them into clients? Instead of trying to make predictions or track nuanced industry trends and economics, you can be more successful this year by making sure your marketing is mobile ready. Checking how your website appears on all devices is imperative these days—especially if you’re a marketing agency sharing best practices with clients. If your website is not mobile-responsive it’s time for a redesign to get up to speed. Chances are your competition is already there. Don’t settle for losing business because your website doesn’t format well on mobile devices. There is a wide range of options to help make you mobile optimized, so speak to your web designer or work with your platform provider to make sure your brand is getting the attention it deserves. If you’re already a Constant Contact Solution Provider partner, but you’re not a web designer/developer, reach out to your Account Manager. They’ll be able to recommend one of your partner peers that could help you get your website into shape! Do you have a lead capture system? Do you have a way to capture new leads from your site, regardless of what device customers use? If your answer is no, the bad news is you are losing out on potential business, however, the good news is this should be a relatively easy fix. Constant Contact offers pop up signup forms to help you obtain the all-important e-mail address. Not everyone will just hand over their email address, but when you have the system in place, implement it in a clever way, and offer an incentive, the leads you do capture are more likely to be converted into clients. Do you have an active autoresponder series? Nurturing leads is essential. Just as you would follow up on a live lead you captured in person, you should have as much thought put into a system for nurturing leads you receive via your website. An autoresponder (drip email) series set up in your Constant Contact account is the perfect solution. They’re easy to set up, mobile-responsive, have the ability to be branded, and can be sent in a frequency your lead would be comfortable with receiving (we suggest one a day for five days). In those first few days of contact with an interested or potential client, they’re looking for a reason to do business with you. If your content is catchy, offers a value add or incentive, and pulls them into your world of incredibleness, your chances of making the sale have just gone up exponentially. Are your emails mobile-responsive and conversion-ready? Email is still king when it comes to engaging your prospects and clients. However, if they are not both mobile-responsive and conversion-ready you’re not seeing the full potential. Email can do even more to help you increase your client base and keep growing your business. So, what does a mobile-ready and conversion-ready email look like? Your email message is easy to read and easy to share. You have click-throughs using an obvious button or link to your website, that goes to your desired landing page. You have a CLEAR call to action that a customer can engage easily with the click of a button or link. You are using Constant Contact’s newest email editor that provides the ability to create fully mobile-responsive designs to best deliver your brand and message. Make your online presence help your business and build it into what you desire and deserve. Making sure it’s mobile-responsive as well as conversion-ready will not only make you stand out, but it can also grow your business and profits in just a few months. Quote: At Constant Contact, our partner program offers resources, support, and education so you can bring on new clients, increase revenue from existing clients, and keep your clients longer. Find out how to get started today. The post Are You Losing Money by Missing Out On Mobile? appeared first on Constant Contact Blogs. This entry was posted on Friday, April 13th, 2018 at 8:00 am	and is filed under Email Marketing, News & Updates. You can follow any responses to this entry through the RSS 2.0 feed. Both comments and pings are currently closed.